Modern printers tend to run at much faster paces than those in years past, wearing away paper path components much sooner than their predecessors did. Envelopes, labels, paper dust and dirt pulled in through cooling fans tend to gum up internal parts and electronic devices, causing premature breakdowns and shortening printer life spans. In 2009 a study was done by IDC, an independent company. The study found that on average, twenty percent of any given company’s computer staff time is spent on printer related issues and problems caused from poor maintenance and upkeep- this is valuable time and money wasted! Prevent Care is our low cost, Preventative Maintenance Program, designed to eliminate common repair problems and to restore your print fleet to like-new condition. The basis of the program centers around a highly labor intense, sixteen step Preventative Process. The goal is to eliminate printer breakdowns and to extend printer life, in turn saving you both time and money. The Prevent Care Program was developed after an internal audit was performed on over ten years of customer repair invoices. The audit revealed that over 80% of printer breakdowns and their resulting service calls stem from common issues which could have been prevented, simply by performing routine maintenance. Both the Owner’s Manual and Service Guide advise performing regular and routine care and maintenance, for optimal printer performance and longevity. Eliminate Time Wasted—Waiting for a broken printer to be fixed due to premature part failures is frustrating for everybody. Prevent Care is designed to prevent wear and breakage from occurring, thus liberating your Computer Support staff, as well as end users who may now continue on with their printing tasks. 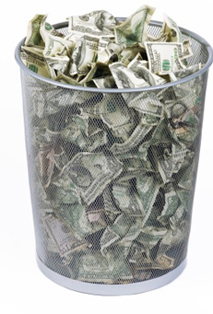 Save Money on Supplies—By eliminating chronic reprints due to printer failure, you will soon discover the money you were wasting before using Prevent Care! When adding up the costs of wasted toner, paper and employee time, it becomes apparent this can become quite an expensive setback- in fact, the elimination of reprints can reduce printing costs by up to 14%! Extend Printer Lifespan—The given Industry Standard for an average printer lifespan is 4.5 years. For Prevent Care printers however, average duty cycles range between 800,000 to 1.2 million copies, with life spans running between 8.5 to 10 years! In fact, we’ve had some printers even attain a 2 million page count using our innovative program! 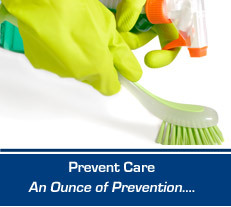 At Laserfleet, our goals through Prevent Care are to create for our customers both a stable and reliable printer fleet, reduce downtime and service calls, and to free up staff members’ valuable time. Our final task is to reduce costs associated with printer failure, while in turn, increasing your fleet’s overall life span. Experience—Laserfleet has 22 years of service work experience, working for a vast array of clientele, including Universities, Government Agencies and private businesses. Certification—We have OEM Certified technicians, with the experience and the expertise needed to get the job done right the first time. Dedication—Laserfleet is dedicated to the success and satisfaction of our customers. Your best interests are our priority, each time, every time. We invite you to look over the different programs we offer, and then select the one that’s just right for you. Our 16 Step Preventative Program—In order to keep your printers running at their finest, we’ve developed the most comprehensive Preventive Maintenance Program available. We don’t just clean the shell and call it done, we actually tear the printer down, gain access to the inside, and then go to work removing grime, dirt and debris where they lurk-deep down inside of the printer and its moving parts. Our proven Program has added years to the life expectancies of thousands of printers over our long time in business. Let Laserfleet help your printers to last!